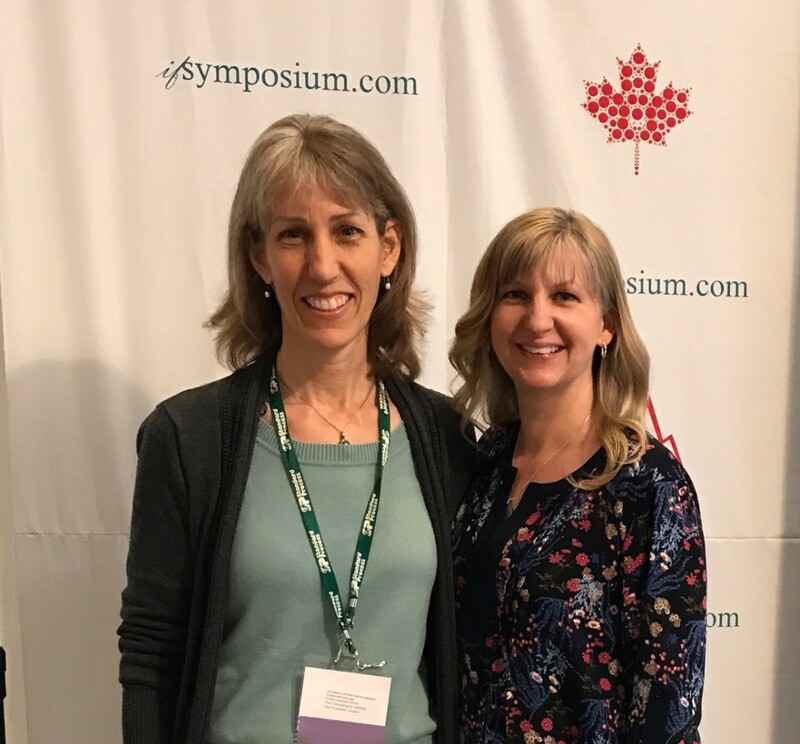 I recently returned from attending the third annual Integrative Fertility Symposium (IFS) in Vancouver, BC. This year’s theme was the Reproductive Circle of Life and there were classes on fertility, pregnancy, pediatrics, and menopause. While the majority of attendees were from the US and Canada, it was truly international – I also met people there from Belgium, Germany, Israel, Australia, New Zealand, Ireland, and the UK. Most of the people there were acupuncturists, but there were also others from outside the Chinese medical profession: naturopaths, MD’s, urologists, and reproductive endocrinologists. The pre-symposium class I attended was on Pregnancy and Maternity Acupuncture Care, taught by Debra Betts (NZ), Sarah Budd (UK), and Claudia Citkovitz (US). These three women have each had careers spanning 2-3 decades and currently train others in safe obstetrical care using acupuncture. At the symposium itself, I attended courses on fertility, pregnancy-related conditions (back pain, hyperemesis gravadarum, recurrent pregnancy loss), labor preparation, menopause and practice management. A delightful surprise for me was seeing and having lunch with a former patient of mine who is now a well-known acupuncturist and was speaking at the IFS about pediatrics and Chinese medicine! One of the highlights of the symposium was the keynote speech by Ray Rubio, founder of ABORM (the American Board of Oriental Medicine) and one of the creators of the IFS. Ray was diagnosed with stage 4 pancreatic cancer in December. Knowing that he might not make it to the symposium, his keynote speech was recorded in January and was shown to us at the opening of the symposium. Watching it was especially poignant because Ray passed away on March 4, less than three weeks before the symposium took place. Ray was about my age and prior to attending acupuncture school, he worked in the LA film industry. What he shared with us was powerful, painful, poignant, and inspiring. Below are a few themes he shared with us from his life’s experiences, influenced in part by his work in the entertainment industry. Ray had a challenging childhood, but did not let that limit him. He accepted all of it, but did not let the bad parts define who is was. His story allowed him to empathize with others and to model other ways of interacting with people. Each of us has a story to share – why we do this work, the difference we want to make in the world – and he invited us to be more open with each other. This became a theme at the symposium and various presenters used it as an opportunity to share more personally about themselves and their life path with this powerful medicine. In the film industry, changes are constantly being made to scripts by the director and actors. The first draft is never the final one. Part of “rewriting” our script means that we are the authors of our lives and have more say over what we do, think, and experience than we realize. None of us is limited by life’s circumstances or our past experiences. We can choose to go in a different direction at any time. We can also “rewrite” how we see what we’ve experienced and see the silver linings – acknowledging those who’ve challenged us or helped us and the ways we’ve grown. There are always people guiding and supporting you. Each of us has people in our lives who've greatly influenced us and often they are the quiet people who see something that we might not see in us and help us develop it. Notice and appreciate the kind words, the smiles, and the encouragement. Look for ways you can be that kind of person in someone else's life. This is my third year of attending the Integrative Fertility Symposium. Each year I recognize more people and am more grateful for my larger community of colleagues. I am grateful, too, for you, my patients, who continue to teach me and inspire me to learn!